not the Blendle app. Obviously. It’s not exactly news that the news business is in ugly shape. Print ads continue to dwindle while online ads, which make less money than their print-based counterparts, are often wildly irrelevant or annoying enough to goad readers into installing ad-blocking apps. Some ads even hide malware injected by third-party attackers. But news sites’ moves to get readers to pay for subscriptions have frequently been clumsy, easily circumvented and rarely offer paying readers a break from those obnoxious ads. The result, as John Oliver told us on his show “Last Week Tonight“: continued cutbacks in coverage that leave us collectively stupider. But a service called Blendle offers an alternative to unending ads and ever-higher paywalls: tiny payments for individual, ad-free stories — often just 19 cents each. What’s more, you get refunds for stories you buy in just two clicks if you don’t like what you read. Blendle launched in the Netherlands in 2014, expanded to Germany in 2015 and launched to a limited US audience March 23. I’ve been trying it for the past few months, and I think you could like it … if Blendle addresses some issues. Blendle’s first obstacle is its invitation-only beta and waiting list of more than 25,000 people. The list does move — I signed up on day one and got my invite eight days later — but it’s not the most welcoming introduction. After you sign up, Blendle gives you $2.50 in credit to play with. You can browse stories by publication, overall topic or by recommendations from Blendle’s staff and other users you choose to follow. You can also link the app to your Facebook and Twitter accounts to see what friends endorse. So far, the site lists only 20 news sources, most of which you can read for free with ads on their own sites. That collection includes big-name newspapers and magazines like The New York Times, The Wall Street Journal, The Washington Post, Bloomberg Businessweek, The Economist, Fortune and Time, as well as a grab bag of online-only sites. Story prices vary within a narrow range — the cheapest I’ve seen is 9 cents, the most 59 cents, with 19 and 49 cents the most typical rates. There’s no “are you sure?” nag before you pay to read a story; instead, a refund link appears at the end of each piece. 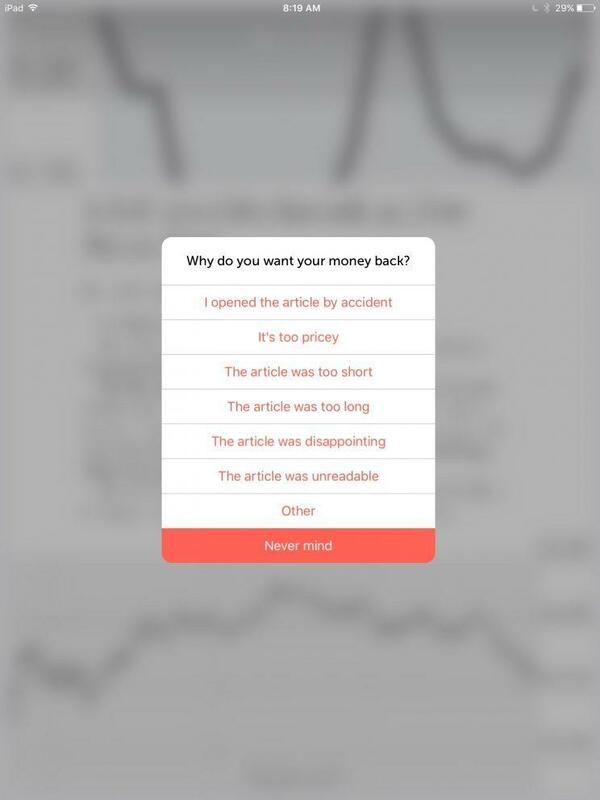 Click it, and you can choose from reasons like “I clicked the article by accident,” “The price is too high” or “The article was not what I thought it would be” (the last a just punishment of clickbait) before getting your money back. Blendle says the refund rate averages just below 10% in all of its markets and falls a bit under that in the US. You can get refunds for stories you don’t like. Newspaper and magazine stories appear in the same font that you’d see in print and feature at least some of the same photos, but charts and infographics appeared in blurry, low-resolution form in WSJ and Economist stories. You may not mind the app’s lack of reader comments, given how awful they often are, but you should be appalled at the absence of in-text links. Once you exhaust your $2.50 credit, you can add more cash to your account via PayPal or credit card in increments of $5, $10 or more. The default is to automatically top up your account after it falls below $1, but you can opt out of that with one click. First off, the app’s selection needs to improve, the service also needs to display stories’ graphics properly and management needs to remember that links are a fundamental part of the web. It would also help if Blendle’s web, iOS and Android apps synchronized where you were in a story to allow the sort of seamless reading across devices that Amazon’s (AMZN) Kindle apps and tablets allow. But the single biggest weakness Blendle faces is invisibility. 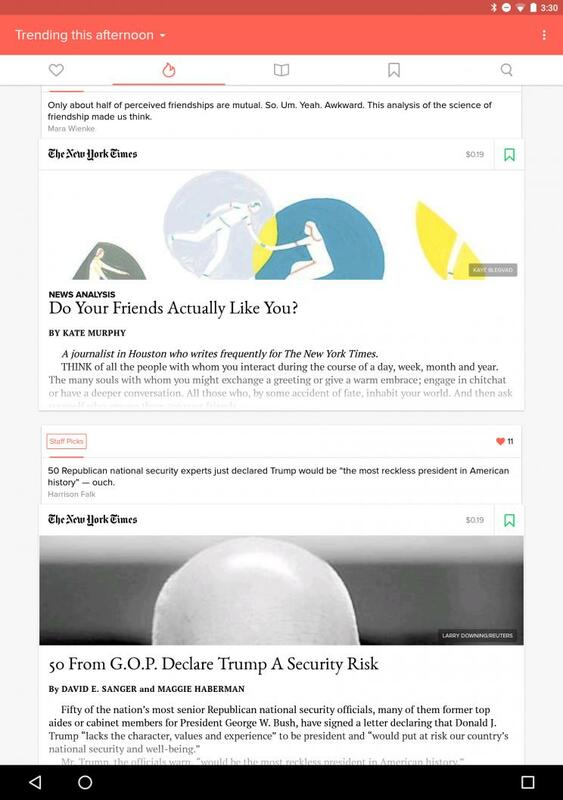 I’ve yet to see Blendle’s paywalled partner sites like NYT suggest that you can pay pocket change to read the same story on the app rather than their own site. Blendle can’t make its partners steer readers away from their subscription offerings — but it could ship a browser extension or bookmarklet to highlight stories available on Blendle, and it hasn’t done that. This isn’t the first time people have tried to charge for ad-free news reading across a variety of sites. Unfortunately, those earlier attempts ended poorly. 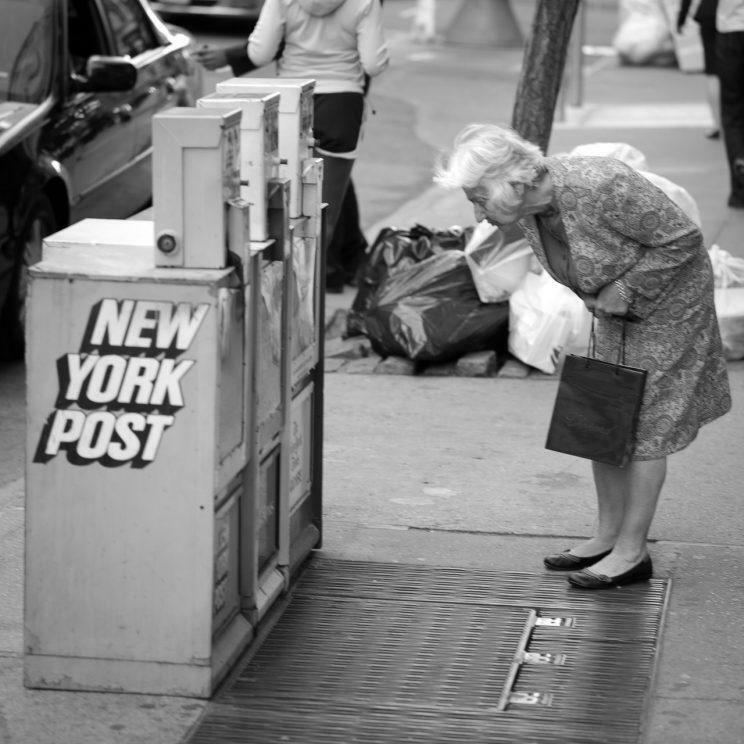 In 2011, a startup called Ongo offered commercial-free consumption of stories from US newspapers for subscriptions starting at $6.99 a month; it shut down the next year. Google (GOOG), meanwhile, added a micropayments feature for news stories to its Google Wallet system in 2012, then retired it in 2015. Blendle, though, has the advantage of not asking people to sign up for a recurring subscription. And because it’s not Google, it has no other businesses to get distracted by … or fall back on. I hope that provides sufficient motivation for Blendle to get past its issues and get the attention of more publishers. Meanwhile, I’m keeping Blendle’s app on my iPad. But I’m not the reader Blendle needs to find; you are.